Dr. Rot graduated from Shenandoah University in 1993 with a Masters in Physical Therapy. He completed the Institute of Physical Therapy’s Manual Therapy Certification program in 1996. In 1997, he completed a one year Orthopaedic/Manual Physical Therapy Residency/Fellowship program at the University of St. Augustine under the mentorship of Dr. Stanley V. Paris and Dr. Catherine Patla. He earned his Fellowship status from American Academy of Orthopaedic Manual Physical Therapist (AAOMPT) in 1999. Dr. Rot is a Board Certified Orthopaedic Specialist, ABPTS since 2000. 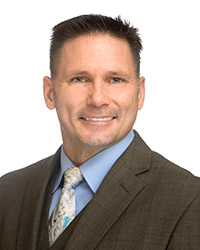 Dr. Rot graduated from the University of St. Augustine for Health Sciences with a Doctor of Health Science degree in 2004 in the area of upper cervical spine functional biomechanics. He is currently a professor at the University of St Augustine with teaching responsibilities in; Anatomy, Spine Examination and Manipulation (introductory and advanced), and the Clinical Integration course where he practices and mentors students at the First Coast Rehabilitation Clinic. Dr. Rot also travels nationally and internationally to teach the S3: Advanced Examination & Manipulation of Cranio-Facial, Cervical, and Upper Thoracic Spine Seminar. Hobbies includes: Spending time with his wife Miranda and his 4 children – Kasey, Daniel, Ashley and Jessie. He loves the outdoors and all sports with waterskiing and Ultimate Frisbee being his favorites.